An authentic adventure awaits in Africa at Little Makalolo; book your travel across WhataHotel! and receive Exclusive Complimentary Perks for an extraordinary deal. Africa is an exotic land filled with grand animals, open grasslands and incredible people. Plan your excursion to this alluring land and explore the natural wonders found here; stay at the fabulous Little Makalolo to guarantee an unforgettable expedition. Situated in the heart of the stunning Hwange National Park, travelers will find Little Makalolo, an All-Inclusive resort in glorious Zimbabwe. 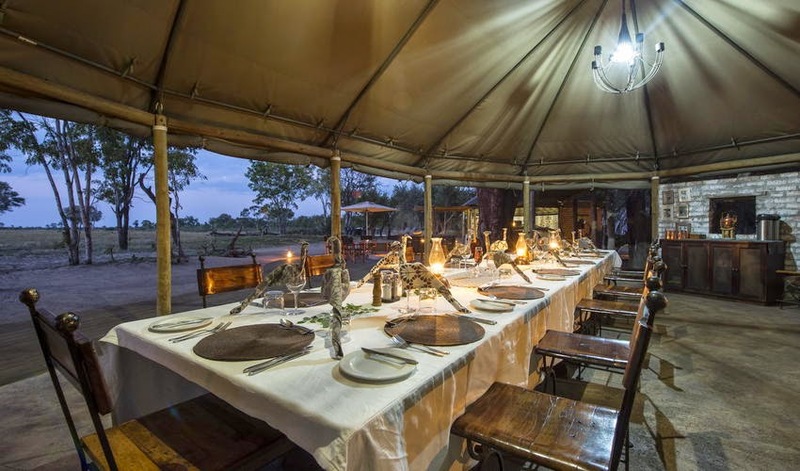 Considered to be one of the best game viewing areas, this rustic-chic locale offers up privacy and a touch of elegance for guests looking for a small camp experience. 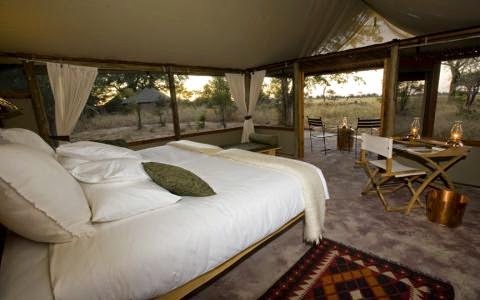 The remote campsites present 6 traditional styled tents that are spacious and completely luxurious. No outdoor bathroom needed here, each campsite showcases en suite bath facilities to ensure a comfortable stay. Other outstanding amenities discovered here include comfortable furnishings, glamorous dining with tantalizing meal options, a tempting pool for those scorching hot days, teatime that features tasty treats and of course views unlike any other. If you long for an African safari, but can't stand the thought of leaving your favorite creature comforts at home, look no further than Little Makalolo. When booking your stay at Little Makalolo across WhataHotel!, guests can savor Exclusive Complimentary Perks for an outstanding deal. These impressive perks include a full breakfast for two daily, an available upgrade at time of check-in, a Private Bush Brunch for two and options for an early check-in or late check-out all combinable with the All-Inclusive convenience. Find the wonder of being in a remote setting where you can watch wildlife play in its natural setting while glamorous amenities are at your fingertips.